Earlier this week, LeBron James‘ Nike Soldier 12 silhouette made its debut in a “Zero Dark Thirty” colorway. 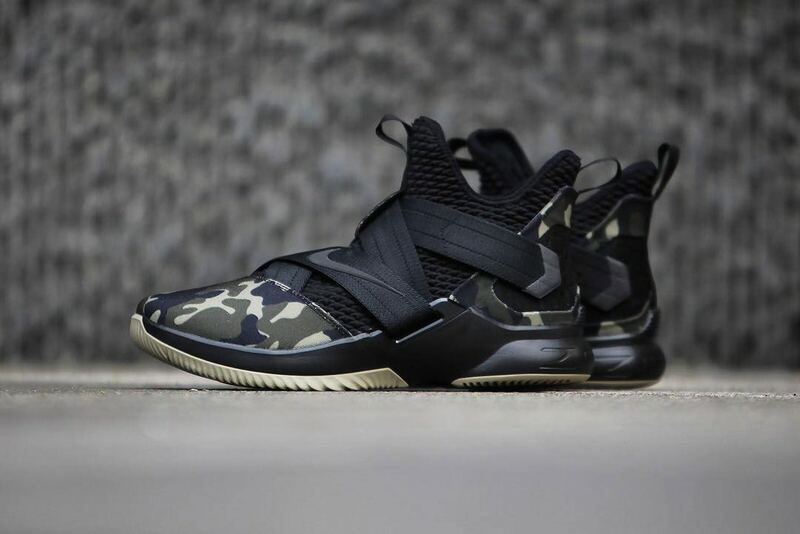 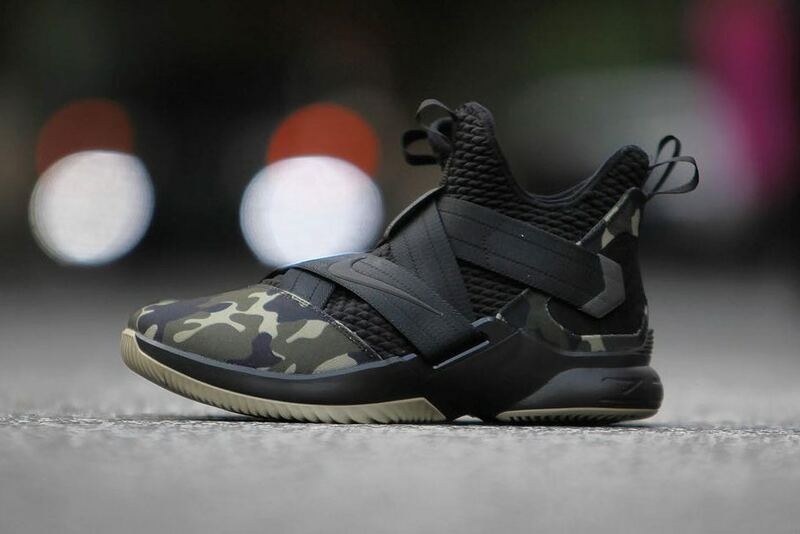 Now the King’s signature shoe sees an all-new stealthy military camo makeover. The new iteration keeps its mostly black upper, this time adding hits of camo to its toe box and heel cage, while an army-style star detailing and a Nike swoosh adorn the straps. 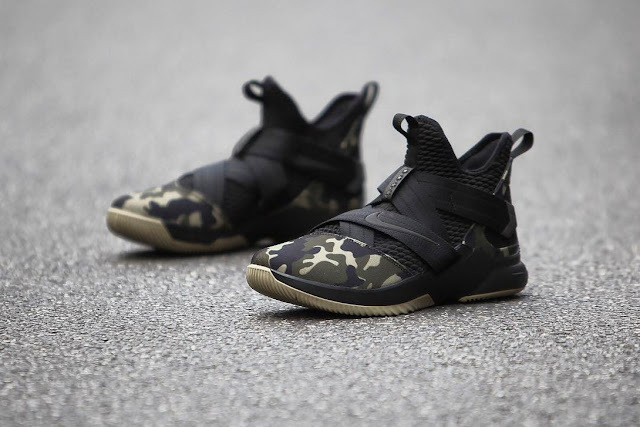 To finish off the combat-ready look, a gum outsole is featured. 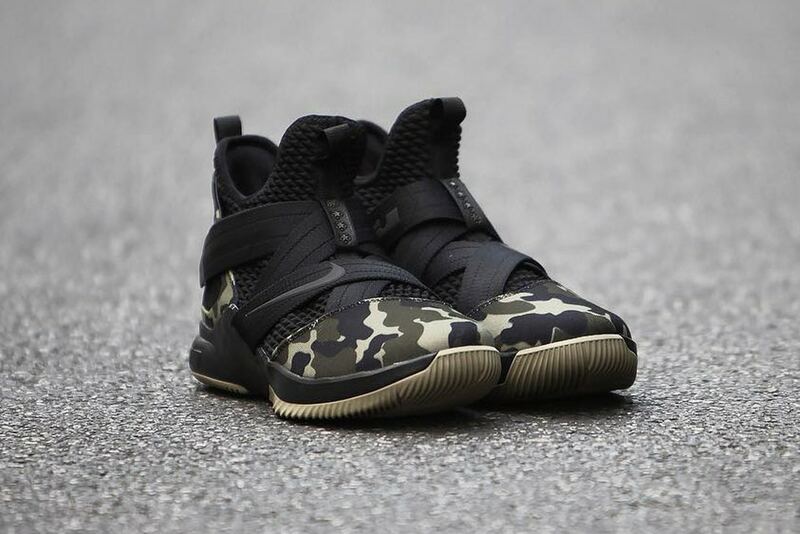 The Nike Lebron Soldier 12 “Strive for Greatness” in military camo does not have an official release date or pricing as of yet, but stay tuned for more details.